Just last month photos of mainland cuties Chen Xiao and Zhao Li Ying acting intimately made the rounds on every entertainment site in China. Which they have since denied. According to them no such relationship exist or ever existed. Just a couple of days ago another dating rumor hit the stands and the web alike. 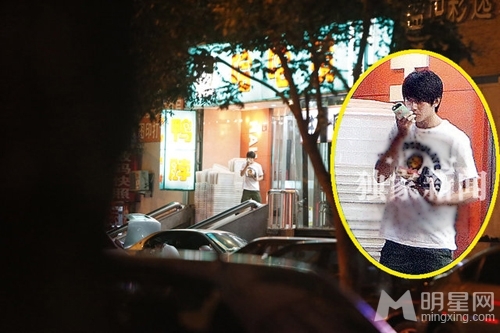 Chinese actors Lin Geng Xin and Zhou Dong Yu were snapped “supposedly” rendezvousing at night. 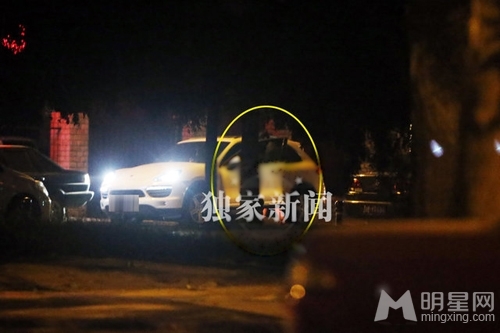 The 21 year old Zhou Dong Yu’s white cayenne was parked in the vicinity not far from where the 25 year old Kenny Lin was. A few moments later, LGX hopped into the same car. People are speculating that the couple have been together since early August. The two are currently doing a movie called My Ol’ Classmate and have gotten closer even sharing cute snaps on their individual weibo accounts. Which in my opinion is what you call “marketing”. ZDY was recently interviewed and she denied any romantic involvement with LGX saying that their encounters are strictly work-based when asked about the issue. 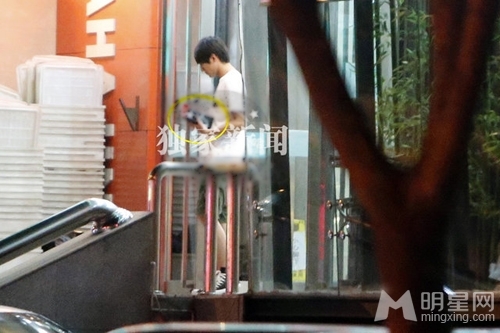 For his part, LGX has got more explaining to do because everyone knows that he has a girlfriend of four years. The fans may not like his plain-looking girlfriend who is said to have come from a well-off family like him, still, they’ve been together a long time. Actually, I like LGX more for admitting his relationship and the fact that his girl is just like any normal girl. It shows that he’s the type of guy who looks on the inside and not the physical attributes of a person. But I know that showbiz can change a person. I hope he doesn’t though and that he stays true to his real feelings no matter what. Wu Chun was able to endure it. But of course he had had to lie so many times to his fans faces. But I’m pretty sure he feels that it was all worth it. The man looks really happy now. Kenny for his part still has a long way to go.